There is already a fantastic thread "Locations ?" on this forum. kickstarted the Knight Rider series! in different episodes. This hotel also appeared in "The Topaz Connection"
"One man can make a difference Michael. dangerous world, the world of the Knight Rider." The desert ending location is almost impossible to find. leads to the discovery of this remote location. I always thought it was an endless road in the desert. Well, now we know where this road is heading! Rats, you beat me to it. Good find. 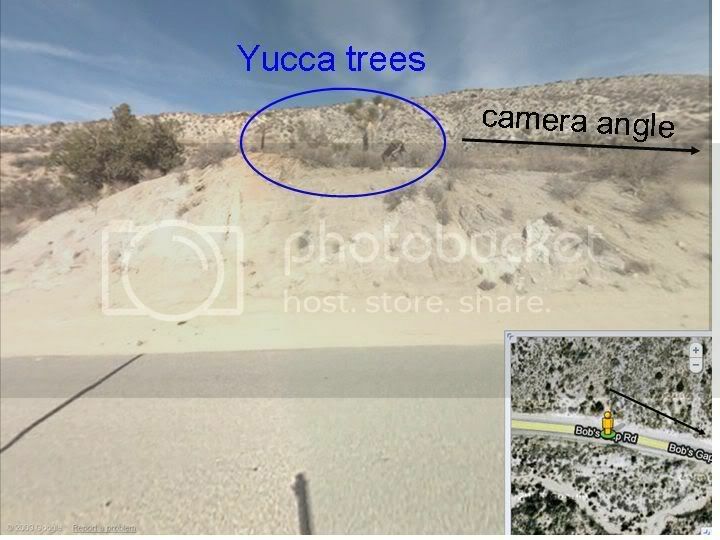 Try looking toward the southwest from the same location on Bob’s Gap road toward the San Gabriel Mountains for the location below. From the picture, looking at the shadows from the car, it could only be traveling between west and north. Figured it was around either the San Gabriels or San Bernadinos. 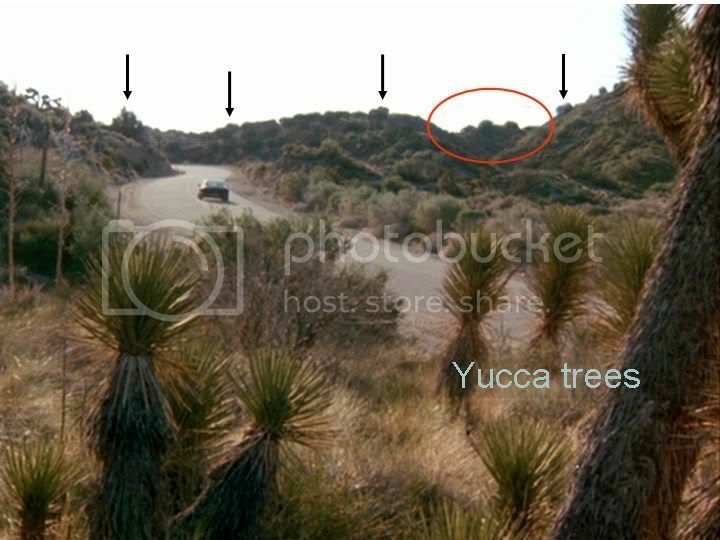 Only east and west mountains around and in the area of other filming locations. That is a great find! Well done! The fact that you found this location is simply amazing!! Now, who has a Trans Am and a helicopter so we can recreate this scene??? Joe Huth wrote: The fact that you found this location is simply amazing!! Now, who has a Trans Am and a helicopter so we can recreate this scene??? (Bobs Gap Rd ends and becomes 165th St). 1982 wrote: Rats, you beat me to it. Good find. I have a LA region map at hand. They are part of San Gabriel Mountains. Interesting that the mountains had snow back in the '80s and now they appear not to. Global warming, perhaps? Lost Knight wrote: Interesting that the mountains had snow back in the '80s and now they appear not to. Global warming, perhaps? 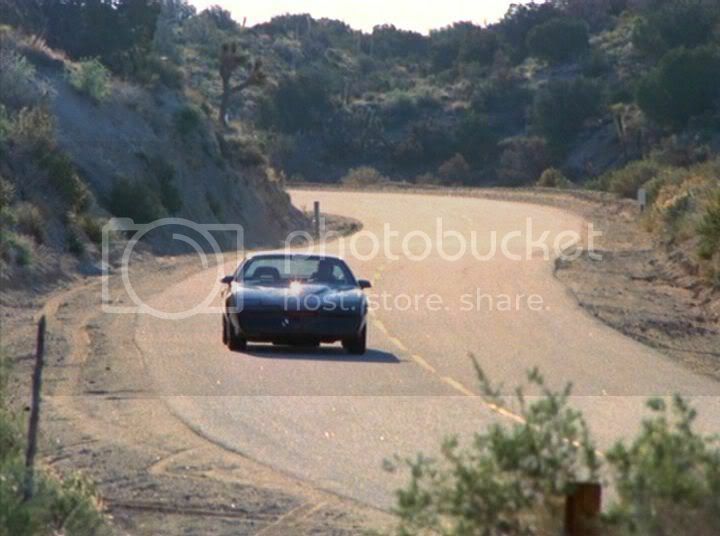 "The Pilot was filmed July 8-26 and August 18, 19 and 26, 1982...HOWEVER, that footage of the ending desert scene features KITT's stock looking nose...so that means that footage was shot for the one hour Presentation video that Larson had made to sell the series to the networks....I believe that was shot earlier in the year, perhaps as early as March." would think they filmed in the summer, where there was no snow. I took the pictures on June 21, 2008. If I visit there again Mar-May next year, I may see some snow! The first round of photoshoots involving Hasselhoff, Mulhare and the 1st-Generation K.I.T.T. (which was used in that sequence) took place in May, 1982. It's possible that the 2nd Unit were filming around this time, as the driving footage didn't require Hasselhoff's presence. Supplementary info for the pilot episode. 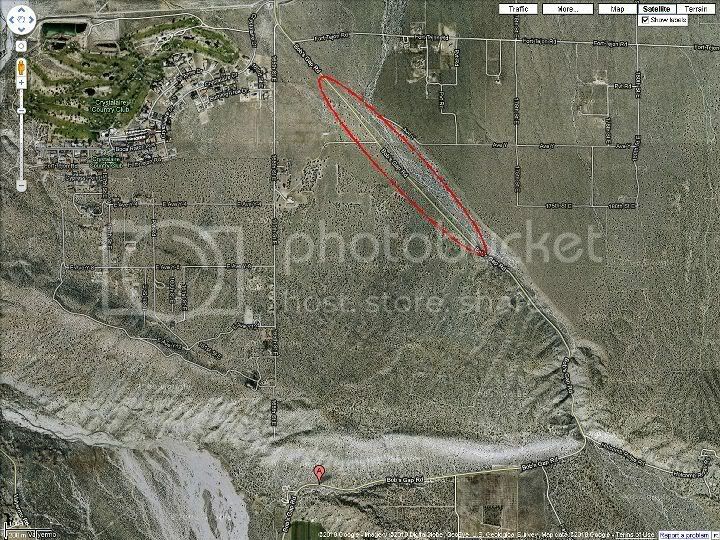 This is a location just 3.7 miles south of the "desert ending" scene. Big Pines Highway) leads me to find the "desert ending" location. B. C. Appeared in Season 2, "Silent Knight"
The location of the bridge is indicated by a red circle in the following map. 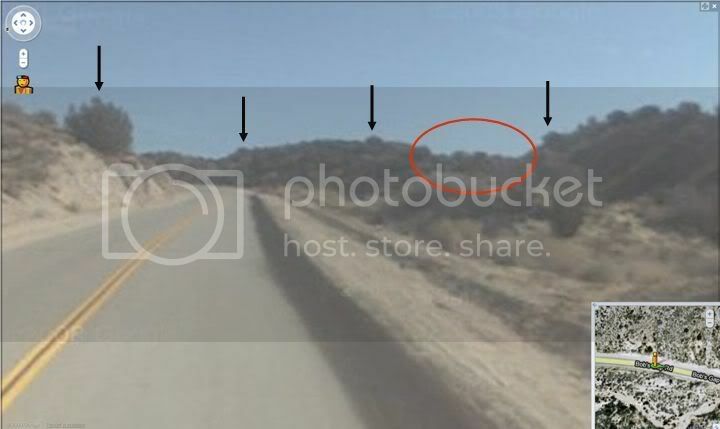 of a 'hairpin' switchback location posted in the other "Locations ?" thread. check out the plants in the circles! I wonder if those could really be the same plants after all these years. Its probably just a fun coincidence. Sue wrote: I wonder if those could really be the same plants after all these years. Its probably just a fun coincidence. Yes. IMHO, the following figure (google steet view) suggests that they are the same. Oh wow, thats cool! I guess those desert plants live a long time. I finally found the location of a classic scene in the pilot episode. and briefly at 1:34:42 right before the 'One man can make a difference' desert ending. so the bend on the road doesn't match exactly. If you enter the address and rotate 90 degrees to your left, you can see where the cameraman was standing! Finally, this location (A in the following map) is on the road of the final desert ending scene (red ellipse)! end of the road in the map above, and found it in a few minutes. it was in a different perspective from the original KR scene. but I was not aware of it. Amazing. I get the impression from a lot I read about the KOTP that it was made in a bit of a hurry in stages, so it would make sense that they put a lot of the road scenes together, in a fairly close-nit area. That said, they were great shots. I bet when you drive down Bobs Gap (I live in the UK) past that right turning and the large left plant, that it does feel special in a way, but because you cannot see the perspective from the helicopter shot, that it feels sort of empty too. I hope to get back to CA sometime in the next year or so. If I do, I aim to drive down that very road. And even see if I can stop by those yukkas and take some shots. Has anyone here ever done that - parked up and tried to get that shot, with the original in hand?